Επίθεση με πράσινη μπογιά δέχτηκαν πολλά μνημεία της Ουάσιγκτον. 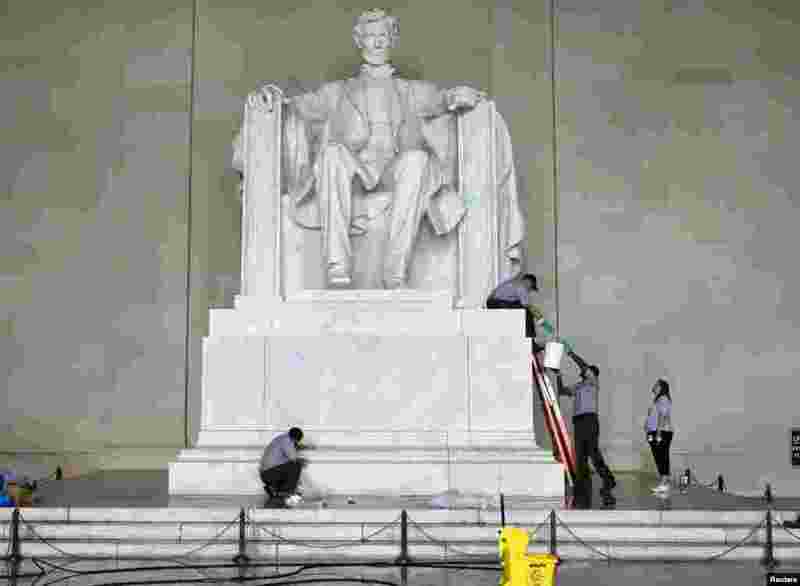 1 National Park Service employees clean green paint from the Lincoln Memorial in Washington, July 26, 2013. 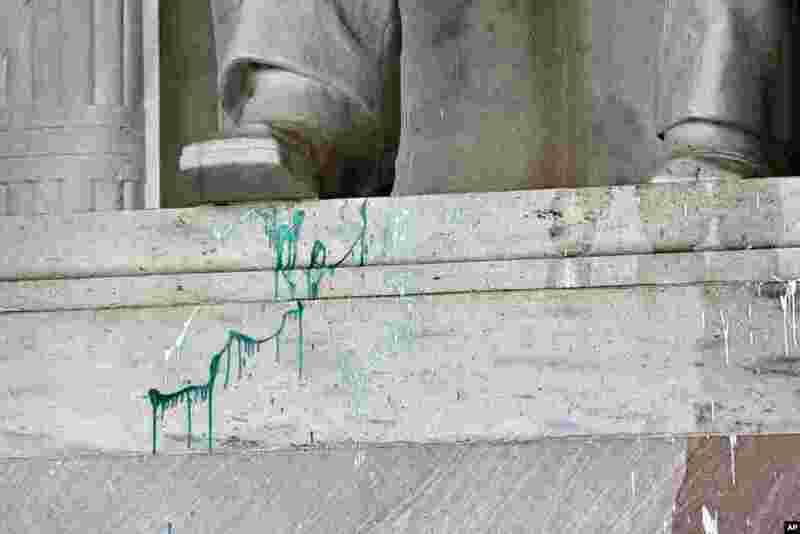 2 Green paint is splattered on the base of the statue of Abraham Lincoln at the Lincoln Memorial in Washington, July 26, 2013. 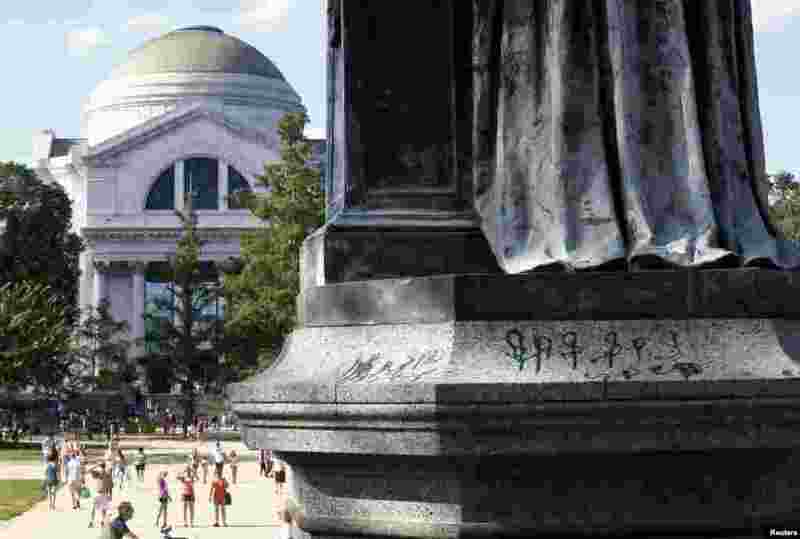 3 A close up shows markings in green paint on the base of a statue of Joseph Henry, the first secretary of the Smithsonian Institution, outside the institution's Washington headquarters, July 29, 2013. 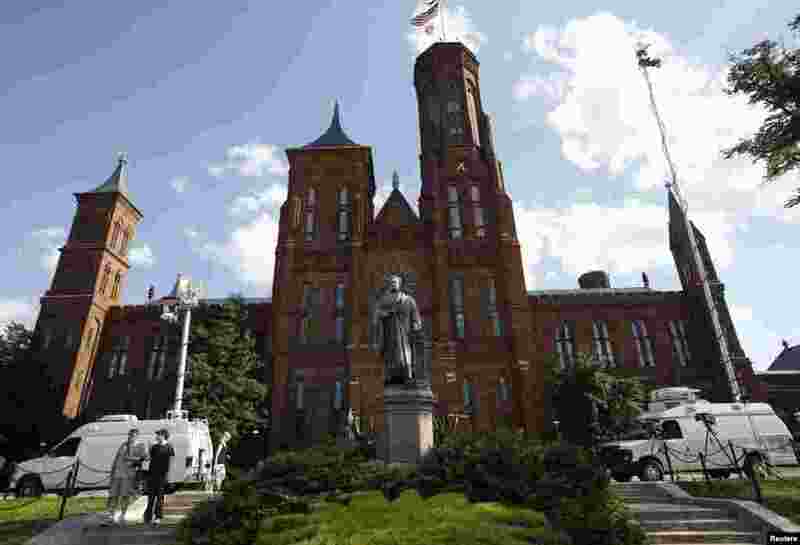 4 Live news television vans are parked alongside a statue of Joseph Henry, the first secretary of the Smithsonian Institution, after it was vandalized with green paint, outside the institution's Washington headquarters, July 29, 2013.